l’ll drive an hour for Chinese food. If it’s good it is SO worth the drive. This is the best pizza on the east coast…at least we think so. Judging by the crowd on Saturday, many other people think so too. 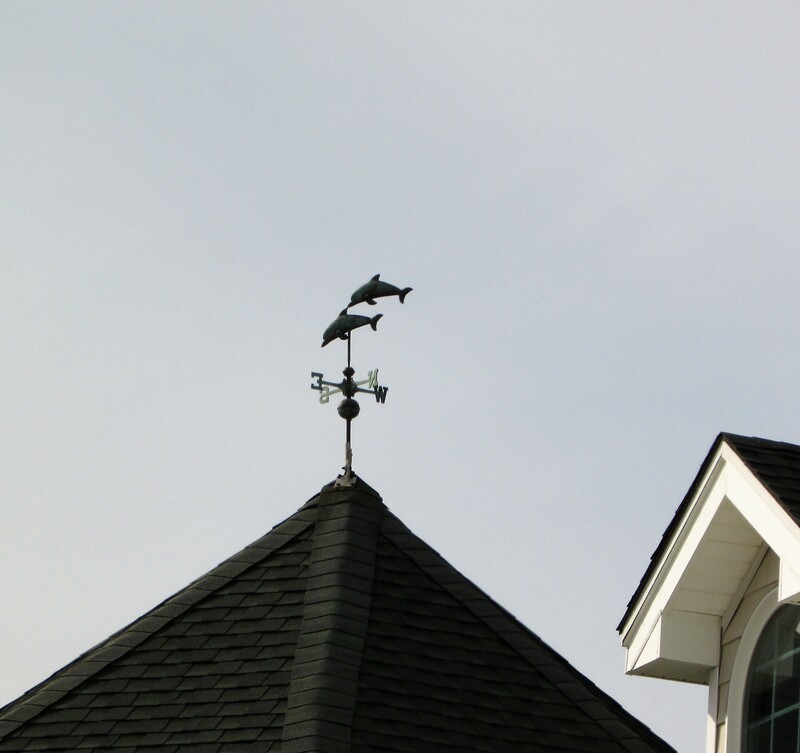 The heron and dolphins are both beautiful wind vanes! Thanks so much. I enjoy driving around the shore towns…even in the very cold month of January. 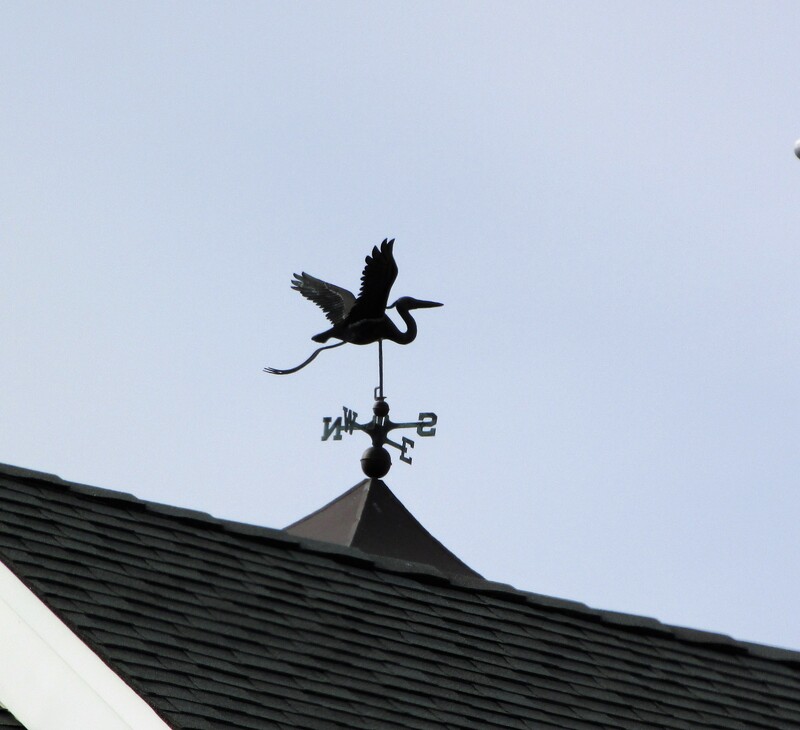 Your weather vane is stunning! Thanks so much for taking part in the challenge. The bird looks as if it’s been captured in flight! I hope you will take part again in the future. Thanks so much! Thanks Karen. It’s funny how they will suddenly appear to me now that I’m looking. I see a lot of interesting lightning rods too while I’m looking for the vanes. Maybe I should adapt the challenge to lightning rods too. It’s a thought to consider! Thanks again. I wish I could hold my hunger that long and be patient enough to drive 60 miles for a pizza. Would those pizza people make home deliveries, I wonder – are they allowed to bike 60 miles to deliver ? I love both those vanes. Can you share a picture of a lightning conductor ? I’m laughing Susie. I wish they made deliveries. When I turned fifty a decade or so ago for my birthday dinner I drove down and bought boxes of pizza for everyone. It was amazing then and still is now. Manco and Manco was once called Mac and Manco, and it has been on the Ocean City Boardwalk for decades. It’s amazing pizza! I think it might be the salt air. Next time I see some that are very ornate I’ll try to take a few photographs Susie. I can’t recall that name. Boardwalk pizza always seems better than anywhere else it is served. I think it is the salt air. Ye, the weather vanes were so nice and yes, the pizza is the best. There is no better pizza in the world!